Queen's University researchers are using magnetic fields to influence a specific type of bacteria to swim against strong currents, opening up the potential of using the microscopic organisms for drug delivery in environments with complex microflows - like the human bloodstream. 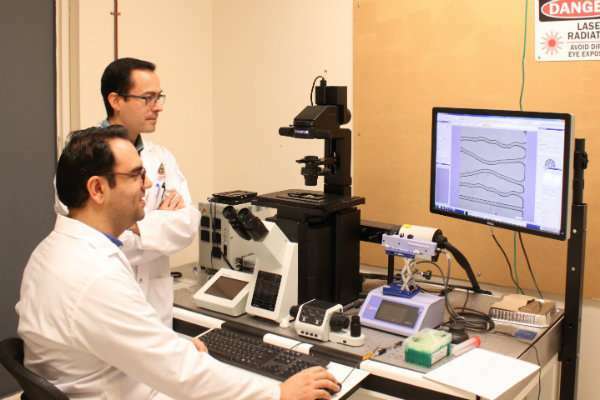 Led by Carlos Escobedo (Chemical Engineering) and PhD candidate Saeed Rismani Yazdi (Chemical Engineering), the research focused on studying and manipulating the mobility of magnetotactic bacteria (MTB) - tiny organisms that contain nanocrystals sensitive to magnetic fields. Their findings were recently published in nano- and micro-science journal Small. "MTB have tiny (nanoscopic) organelles called magnetosomes, which act like a compass needle that helps them navigate to nutrient-rich locations in aquatic environments - their natural habitats - by using the Earth's magnetic field," says Dr. Escobedo. "In nature, MTB play a key role in Earth's cycles by influencing marine biogeochemistry via transporting minerals and organic matters as nutrients." "When we increased the rate of flow and the strength of the magnetic field, we were astounded by the MTB's ability to swim strongly and concertedly against the current," says Mr. Rismani Yazdi. "They were even able to swim across a strong current with ease when we moved the magnet perpendicular to the flow." The team's success in directing MTB through a complex and fast-moving environment could be a significant step toward using the bacteria to transport pharmaceuticals through the human bloodstream to treat tumours directly. "Next, we plan to bind therapeutic drugs to the bacterial bodies for transport," says Dr. Escobedo. The team has also teamed up with Dr. Madhuri Koti of the Queen's Cancer Research Institute and plan to refine their ability to direct the MTB toward tumours with a high degree of accuracy. 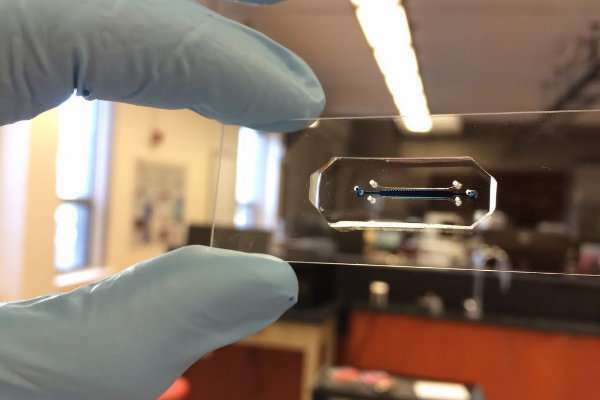 Together, the team will use magnetic fields to guide the bacteria from one end of a microchannel on a tiny microscope slide to samples of biopsied cancer tissue at the other end. Dr. Escobedo hopes that their multi-disciplinary approach to this research will help unlock MTB's potential to be a biological, effective, and formidable drug-delivery method. "We've shown that the bacteria's natural properties can be exploited to guide them in complex and strong flow conditions, much more challenging than those found in nature, which opens up opportunities not only in the drug-delivery field, but in other biomedical applications as well," concluded Mr. Rismani Yazdi.